performance and scalability are guaranteed when using large data sets. multi language support, administrators can add new languages and content translations. 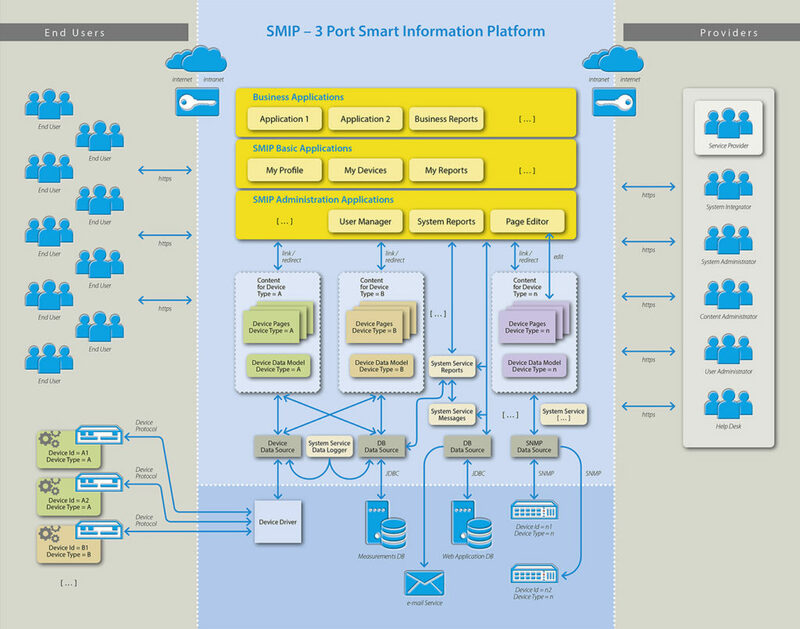 The main purpose of SMIP is to give users remote access to devices in a meaningful and user-friendly way. When a new device or set of devices needs to be accessible to users, custom device content has to be prepared in SMIP. This typically includes data variable definitions, Web dashboards, PDF/CSV/email reports, historical data acquisition definitions, access constraints (e.g., what will be accessible to technical staff and what to end users), label translations etc. 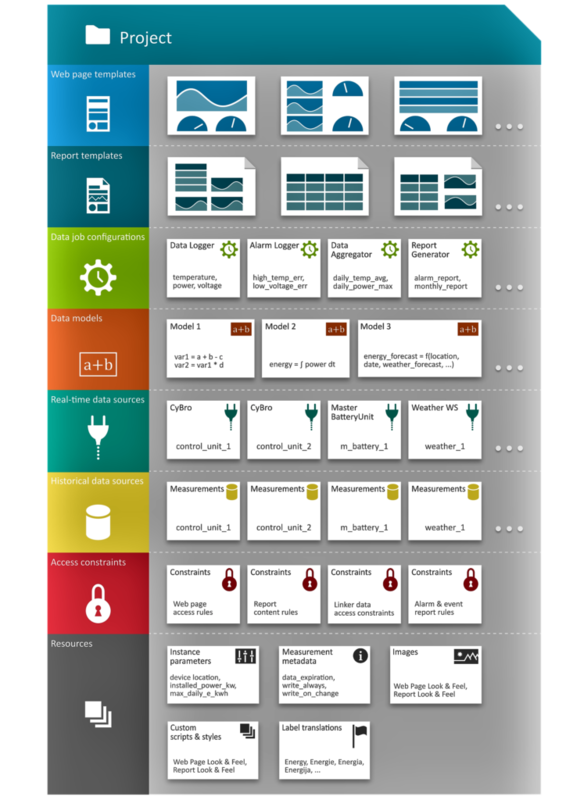 All content that is prepared for a particular device type is contained in a SMIP project. To connect to a concrete device an instance must be created from a project. Instances in SMIP are “living” objects that maintain connections to real-world devices and run data jobs.